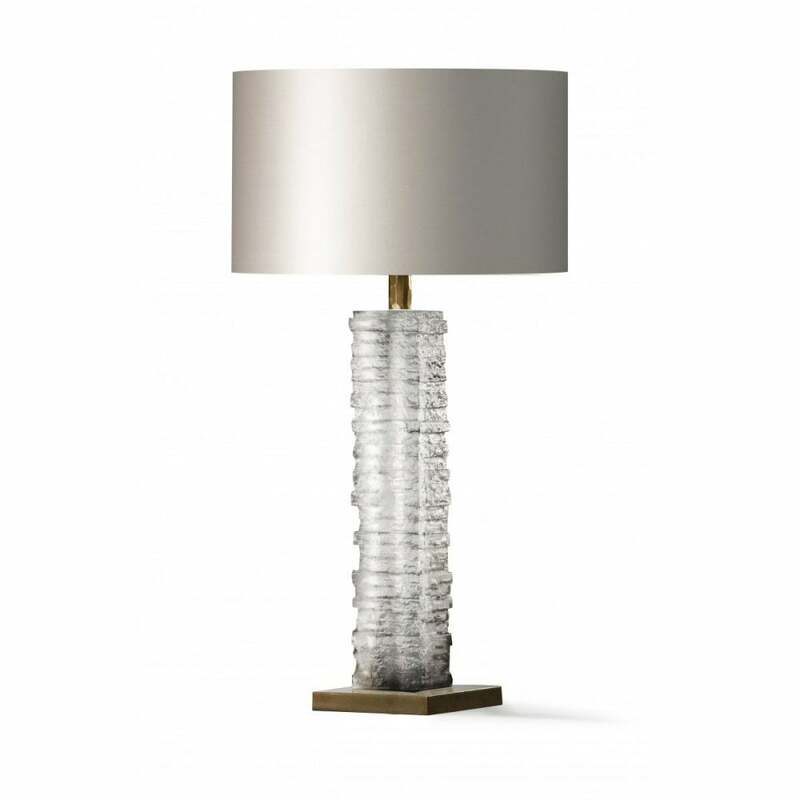 The Crystal Strata column is constructed from a magnificent block of cast glass. Each one is individually created and it weighs a massive 11kg! The base is available in Antiqued Brass or Nickel and it looks stunning in any one of Porta's fabulous silks, but we particularly love it with Taupe.